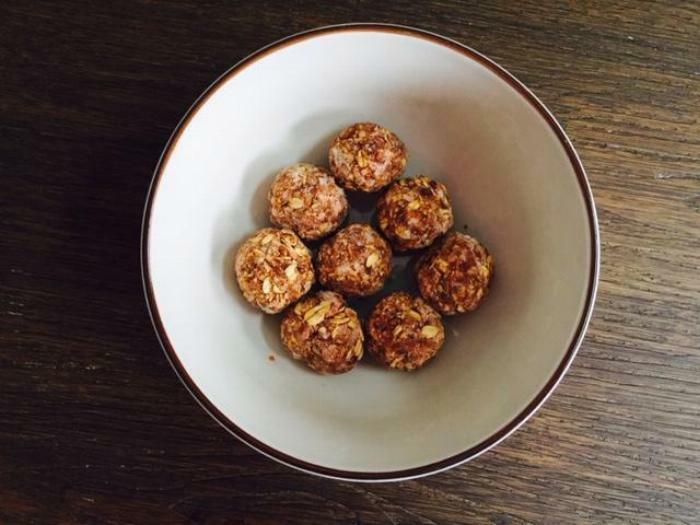 A no-bake, gluten, nut, dairy and refined sugar-free snack that is also equal parts delicious and kid-approved! Say it ain't so! These energy bites are simple to prepare, easy to pack and school-safe. 1Place all ingredients in order, in a food processor and pulse until smooth and combined. Using a spoon, scoop about a tablespoon of the mixture at a time and roll into uniform balls. 3Refrigerate or freeze the raw carrot cake energy bites in an air tight glass container.